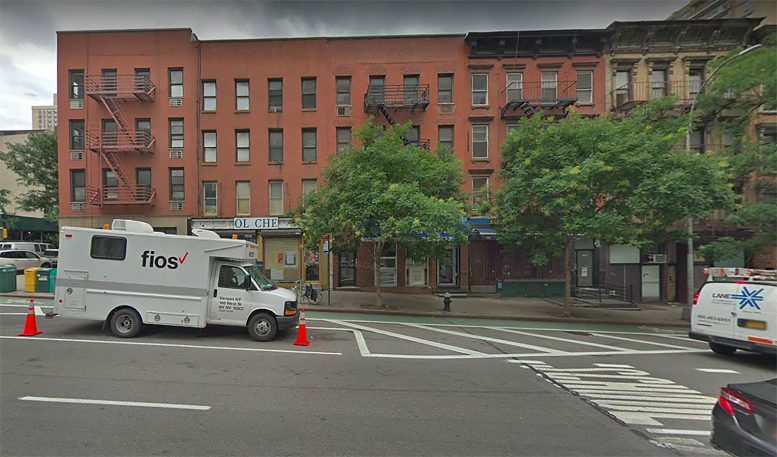 Full demolition permits have been filed for three adjacent four-story structures at 1637-1641 First Avenue on the Upper East Side of Manhattan. The mixed residential and commercial buildings were purchased by Extell Development over the past decade for over $20 million. It is unclear what plans Extell has for the substantial lot. Located between East 85th Street and East 86th Street, the site is one block east from the 86th Street subway station on 2nd Avenue, serviced by the Q and R trains. Last year, Extell filed demolition permits on a similar assemblage just a few blocks south. Located between East 79th and East 80th Streets in Yorkville, mixed residential and commercial buildings at 1514-1528 First Avenue have also begun the process. 1 Comment on "Demolition Permits Filed for 1637-1641 First Avenue on the Upper East Side, Manhattan"